Effectively manage flexible batch operations found in process industries, including life sciences, fine chemicals, and food and beverage/CPG. 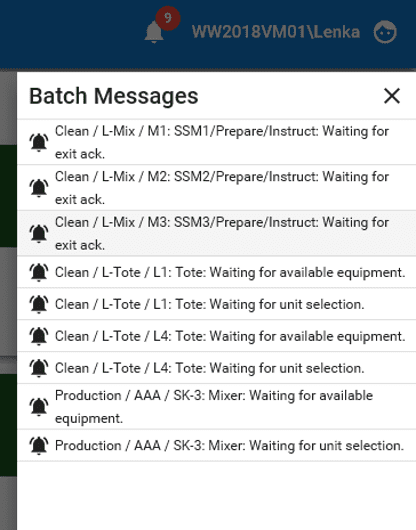 Adhering to the ISA-88 standards for batch control, Batch Management provides guidance and oversight to both recipe management and batch execution. Coordinate everything with the plant control systems, interface with the operators, and direct batch activity, material flow, and production data to a historical database for a full electronic batch record (EBR). Batch Management software helps manufacturers to improve yields through increased product quality and operational efficiency. 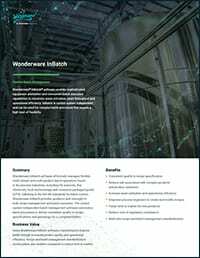 Automation of the batch processes delivers consistent quality to recipe specifications, maximizes asset utilization, helps eliminate paper records, and reduces batch release cycles. The control-system-neutral approach allows for recipe and batch standardization across the business. This streamlines the new product introduction (NPI) process and helps you respond to changing market demands with greater agility. The batch server hosts a process model, material details, and recipe information; coordinates concurrent batch execution across networked equipment; and facilitates operator interaction. It manages batch execution either by connecting directly to a control system or via System Platform integration. Multiple servers can share a single batch history database, in addition to facilitating the deployment of solution architectures that meet the needs of critical batch applications and high availability. Our control-system-neutral software offers connectivity for real-time communication to any control system or plant floor device through our device integration servers. It will, however, deliver maximum potential and extensibility when used with System Platform. 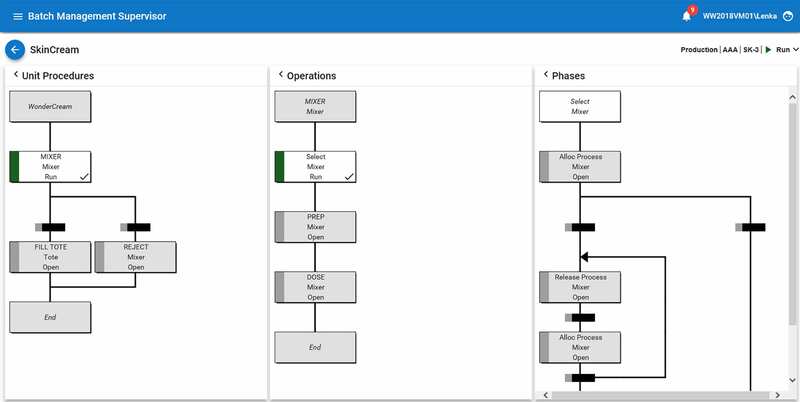 The batch software provides object templates for units, connections, segments, and phases. There is also a model import utility that automatically builds and synchronizes the Batch Management process model with the System Platform plant model, making batch execution information directly available to Historian, MES, Workflow Management, and other applications. Offers a unique process capability model, which goes beyond ISA-88 by including connections to the equipment model and managing transfer phases. This eases process modelling and enhances batch management capabilities. It enables the batch engine to manage flexible product paths, allowing simultaneous multi-product and multi-stream batch execution on shared equipment while documenting all material flows with detailed material traceability records. Comprehensive capabilities facilitate the design and implementation of Batch Management systems, applications and solutions that comply with regulations such as FDA 21 CFR Part 11 and Eudralex Vol.4 Annex 11. Enforcing batch sequencing and “done-by” and “check-by” security adds an electronic signature in the batch record. 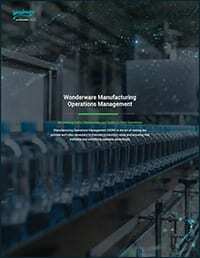 Built-in security and material management capabilities (including material consumption, movements, and inventory levels) contribute to a detailed electronic batch record (EBR) that complies with regulatory requirements of computer systems used in manufacturing. Batch Management provides recipe execution management and automatic capture and storage of all batch execution data. It associates the batch execution and equipment history with full product genealogy and material traceability. The control-system-neutral software empowers process engineers to methodically and safely create and modify recipes without any expertise in the underlying control system.